Dig & Design caters to all levels of construction, whether it is new construction or an existing landscape that needs an addition or total updating. Fully insured and licensed, we guarantee coverage on all equipment and staff, ensuring our employees are covered by Workman’s Compensation. We maintain all certificates of insurance on file in our office. Founded on a commitment to designing and building creative, beautiful, and enduring landscapes that respond to the individual needs of our clients, we at Dig & Design want to discover how you would like to live with your outdoors to fully enjoy your home. Seeing your ideas and dreams become realities captures our passion for designing and building landscapes. We are proud to have served more than 1,500 clients who highly recommend us for integrity, service, workmanship, and personnel. We are a small company that focuses on top-quality, showcase work. Alex McQuigge provides quality workmanship with more than 15 years of experience. Alex started Dig & Design Landscaping in 2004. 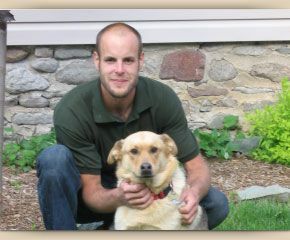 While completing his studies at Trent University, Alex McQuigge gained many years of experience working for local landscape contractors. He was successful in his studies and obtained an Honours Science Degree in 2001. Alex discovered he had found his passion: designing and installing landscapes that delighted clients and brought families together. Alex continued his education and received two more diplomas in landscape design, horticulture, and arboriculture. Alex attends seminars on hardscape installation and new products to stay on top of today’s latest trends of the trade.